Woomera—rocket central 50 years ago | Where to next? 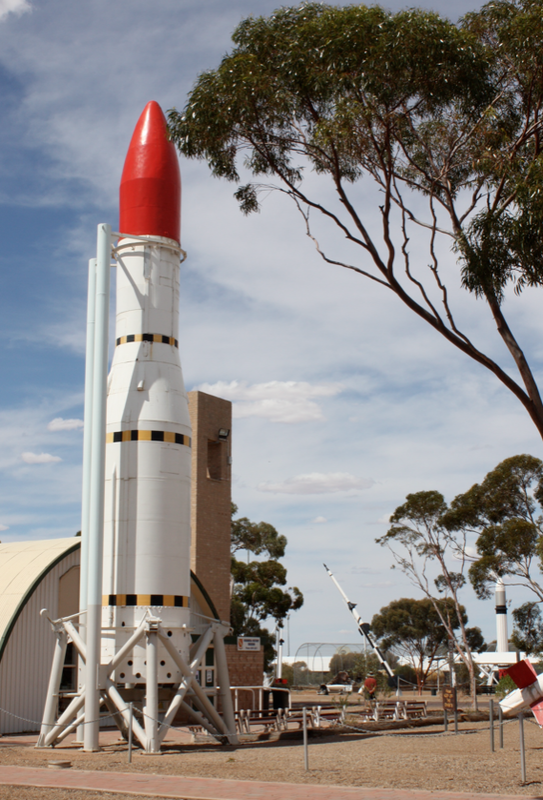 In the 1950s and 60s, Woomera was the world’s second busiest rocket range. Only Cape Canaveral was busier. Today Woomera, located in South Australia’s outback, is a much smaller operation. It’s still an Australian Defence Force (ADF) base, commanded and administered by the Royal Australian Air Force, but rocket launches are a memory. In fact, Woomera was at risk of closing in the late 1990s. 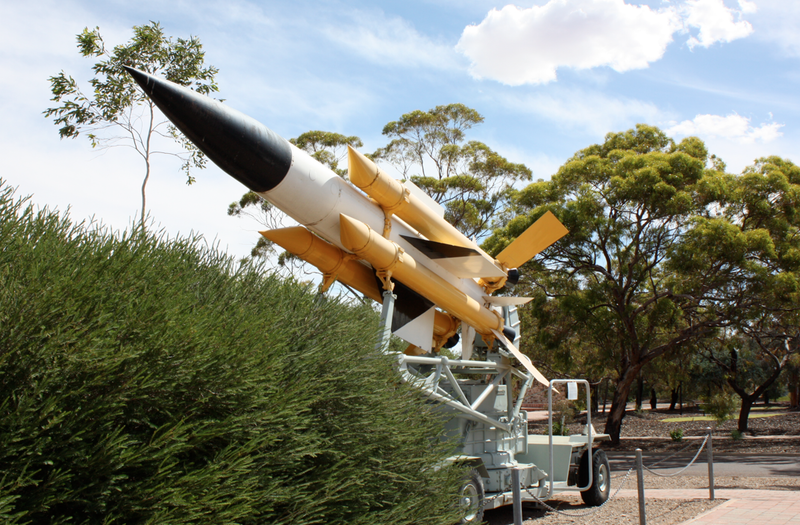 About that time, a long-term study of ADF’s needs through to 2035 showed that Woomera had the only test and evaluation range in the western world that was suitable for testing ADF’s next generation of defence systems. A bonus was that Woomera’s climate meant it could be used year-round. Around that same time, the Howard Government (don’t get me going on the Howard Government) set up immigration detention centres for asylum seekers. The village at Woomera was one such site. The detention centre was highly controversial and closed by 2003. Residents now are defence workers or contractors, and the population fluctuates between 150 and 200. We’ve been to Woomera twice since 2011, and had a long and interesting stroll around both times. 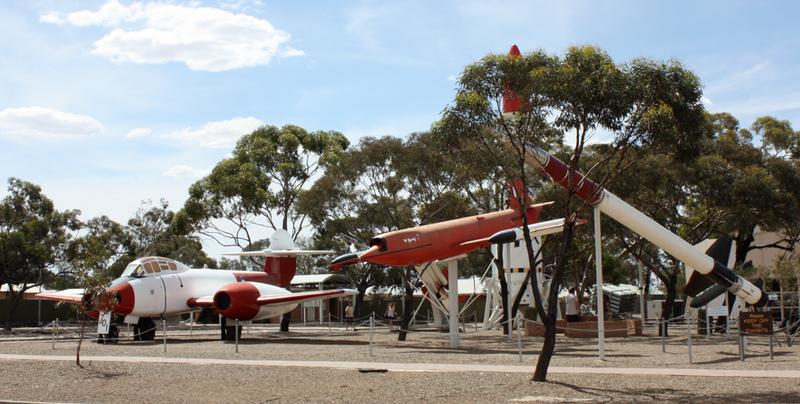 Everyone should check out Woomera’s National Aerospace and Missile Park, in the centre of town. It has missiles and rockets that were developed and tested there over the last 60 years, as well as some of the historic aircraft that were used in trials. The Heritage Centre has a display about the legendary Len Beadell, the famous surveyor and road builder who laid out the original range across vast tracks of the Australian outback, stretching from Woomera to the far northwest coast of Western Australia. Outback Australia brings out the mischief in folks. Decades ago and the night before a coming federal election, the workers of Woomera got well and truly pissed (Australian for drunk). Drunkenly and collectively, they decided to vote for the Communist candidate. Oh boy, did that have the officials trying to figure out what was going on in Woomera. Len really is a legend in outback Australia, where he created many of the roads. One day he came upon a truck stuck in mud up to its axles. The driver was nowhere to be seen. He’d no doubt gone to seek help. Len used his tractor to pull the truck out and then used his grader to smooth over the mess. Later he wondered how the truck driver, on his return, managed to convince his rescuers that the truck really had been stuck. You continue to go places in Australia (and around the world) that I can only dream about visiting one day, but it is EXCITING to see Oz (and the world) through your U-N-I-Q-U-E eyes!!! WHOO HOO! Thanks mickeydownunder. I have a lot of fun getting out and about.